NATO will not guarantee automatic membership to Scotland if it becomes an independent nation. 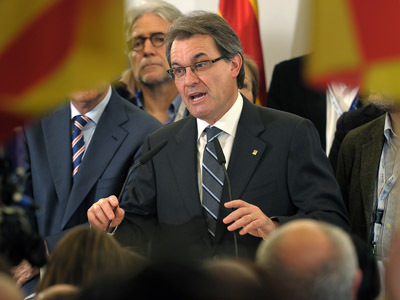 The news comes in response to a pro-independence party’s drive to secure a spot in the alliance while dumping its nuclear arsenal. Optimistic expectations for Scotland’s NATO membership were initially voiced Tuesday by Alex Salmond, First Minister of Scotland. He said an independent Scotland, which he hopes to see after a referendum next year, would be an active member of the North-Atlantic Treaty Organization (NATO), but would refuse to host Britain’s nuclear weapons, particularly the submarine-launched Trident missiles. "You have to come to agreement with your colleagues, and in that sense there is a parallel with the European Union – you notify your intent to remain a member," Salmond told BBC. "We are a member by virtue of our membership of the United Kingdom, and we notify in that period between the referendum, and a successful vote, and the adoption of Scottish independence about 18 months later." In response to a request for the alliance’s position on the issue, NATO said its ruling council had not discussed Scottish membership, but expressed skepticism over the scenario Salmond outlined: "It appears widely agreed that, as a matter of law, a Scotland which has declared its independence and thereby established its separate statehood would be viewed as a new state,” it said in a written statement. “A new state would not be a party to the North Atlantic treaty, and thus not a member of NATO. If it were to choose to apply for NATO membership, its application would be subject to the normal procedure, as outlined in article 10 of the treaty," the statement read. Scotland has an advantageous strategic position, and would have considerable hydrocarbon reserves in the North Sea – both factors making it a desirable member for NATO, should it become independent. But Salmond’s pro-independence Scottish National Party (SNP) also seeks to become a nuclear-free country. Critics say the SNP wants to enjoy the protection of NATO’s military might, including its nuclear arsenal, without having to commit fully to the alliance’s shared goals. Some say that this would make Scottish membership in NATO impossible. Proponents of an independent Scotland as a non-nuclear member of NATO expressed hopes that the nation would nonetheless be allowed to join. “Only three of NATO’s 28 members are actually nuclear-weapons states. The majority are fully committed members of the alliance without hosting nuclear weapons, which is exactly what an independent Scotland would be,” a government spokesperson said. 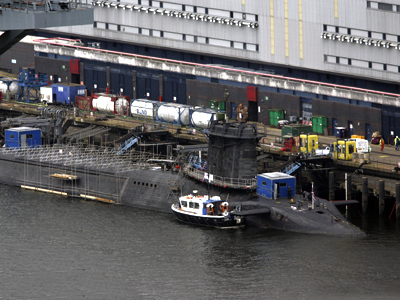 The UK government is determined to maintain its nuclear weapons arsenal, including those deployed in Scotland. During a visit to Scotland on April 4, Prime Minister David Cameron reaffirmed his commitment to the Trident missile program. He cited the threat of North Korea as justification for maintaining Britain’s nuclear arsenal. 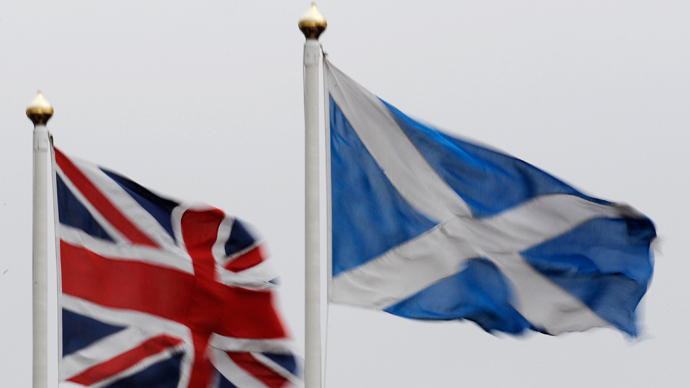 Scotland will hold a referendum on whether it should become independent from Great Britain in September 2014. Proponents of the idea said it would allow Edinburg to issue better policies and boost the economy. 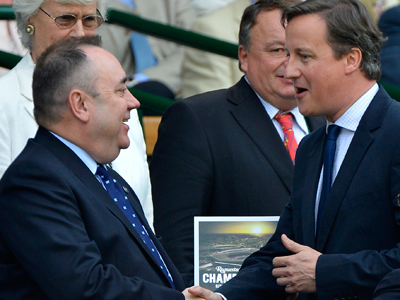 Critics say it would hurt Scotland’s businesses, and compromise its security. So far, opinion polls show that the majority of Scots are against complete independence, but would support increased autonomy.